The First Look | For the Joy of Life. 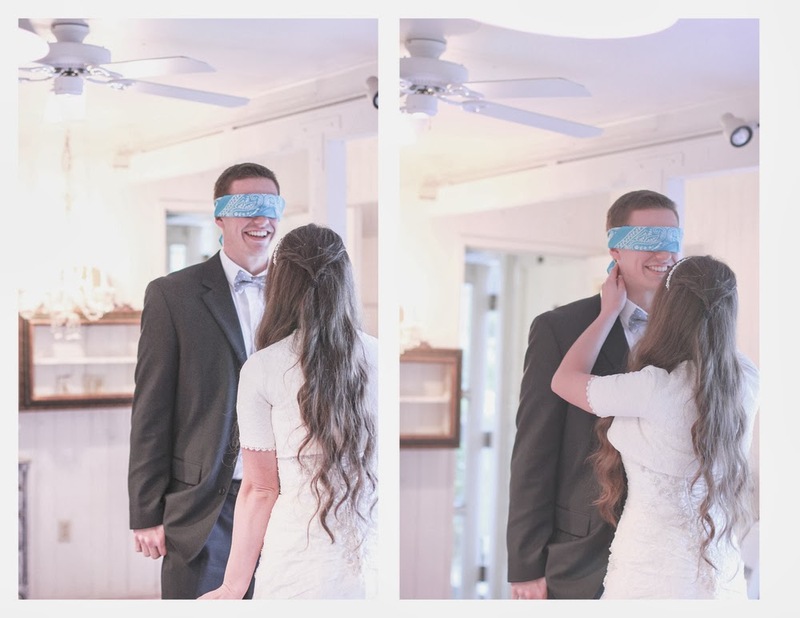 You know that new trend all over pinterest to have this big "first look" moment where the groom first sees his bride in her white dress? 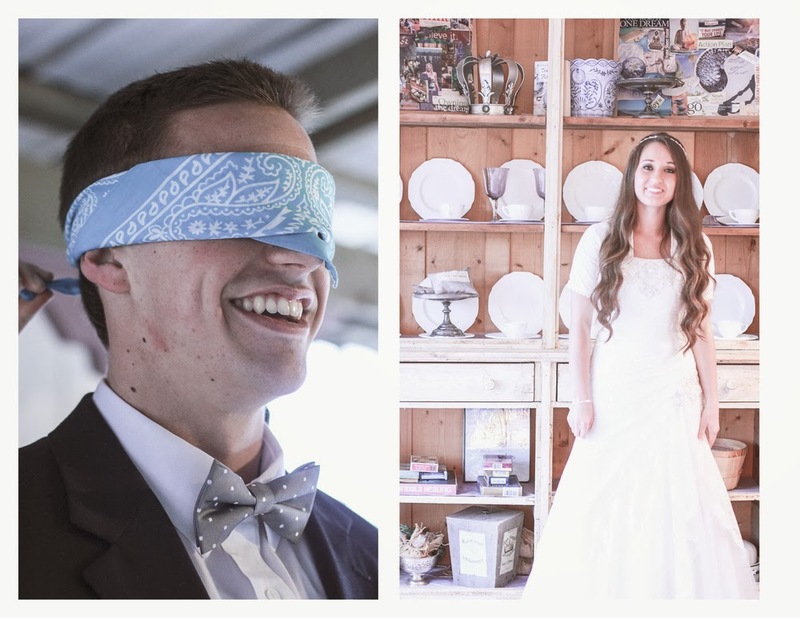 We won a couples photo shoot when Hunter was on his mission. Since life happened way quicker than anyone could have guessed, we used that free shoot to take some bridals/groomals/first look pictures and a few fun ones out in the pouring rain. 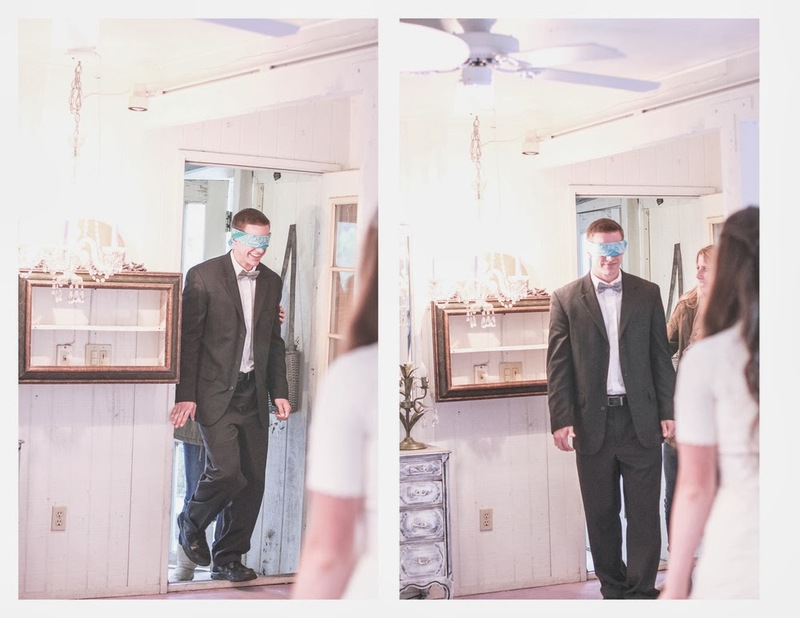 It was a really fun experience because not only did we have one photographer there, but we had our actual wedding photographer as well. I love the idea of a first look shoot. 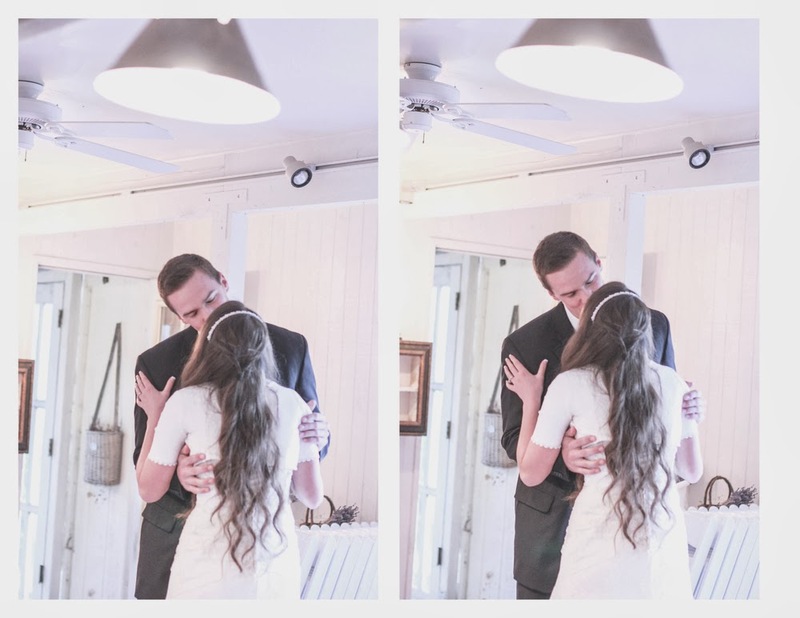 It's a moment I definitely wanted captured on camera and I loved the way they turned out! 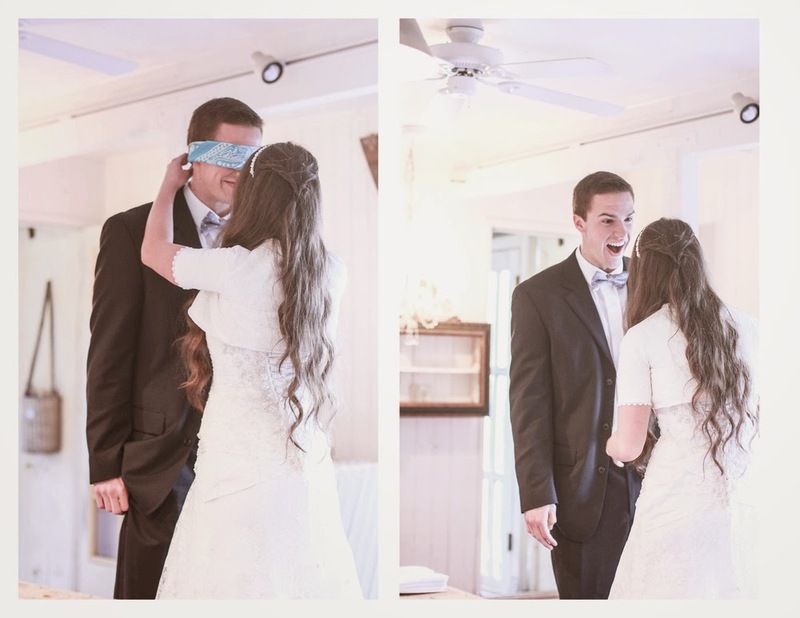 I was so excited to show Hunter what I looked like as HIS bride and his reaction was priceless. We went to several high school dances where we got all dressed up together but we only dreamed of what each other would look like for our wedding. 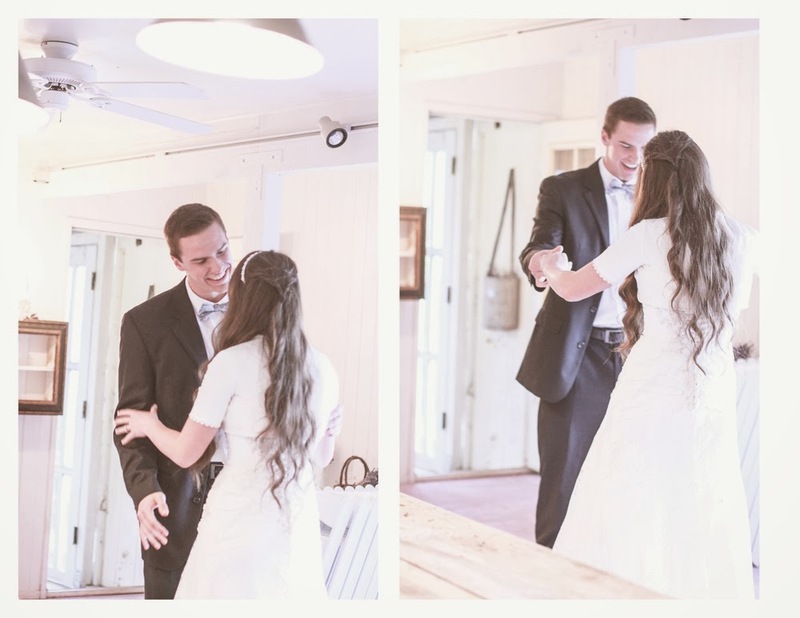 I swooned over him in his polka dot bow tie and he twirled me around in my white dress. Awww this is adorable! You look beautiful! I'm a stranger who came across your blog and have loved following your love story. Thanks for sharing your life with us!